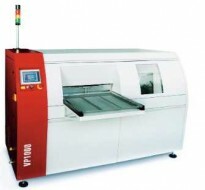 Vapour-Phase soldering system for users who process product with frequently changing assemblies in small and medium sized quantities. 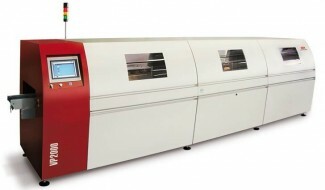 Vapour-Phase soldering system for in-line mass production. The Electrovert® OmniES™ series reflow soldering system is designed to deliver maximum thermal performance combined with process capability and control - 5 zones. 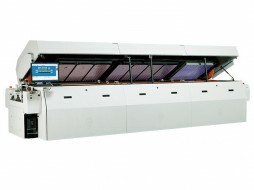 Affordably priced, 6 zone, lead free model suits a full range of medium and high volume production reqirements. 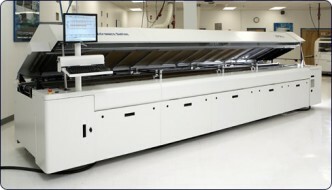 Electrovert® OmniES™ series reflow soldering system - 7 zones. 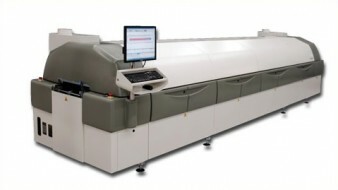 Electrovert® OmniES™ series reflow soldering system - 10 zones. 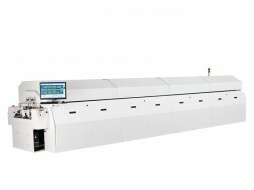 The Electrovert® OmniMax™ series reflow soldering system is designed to deliver maximum thermal performance combined with process capability and control - 7 zones. 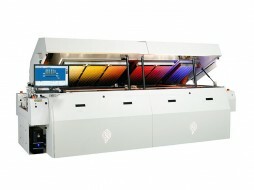 Electrovert® OmniMax™ series reflow soldering system - 10 zones. The Vitronics Soltec MR+ product platform offers exceptional thermal transfer, temperature control accuracy, and cooling. 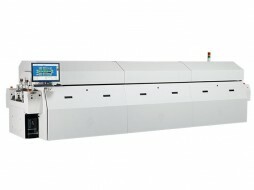 The Vitronics Soltec XPM3 product platform is the latest evolution in a long history of reflow systems that have proven their capability worldwide.